Home Crafts Nature Craft Supplies – The Real Thing! 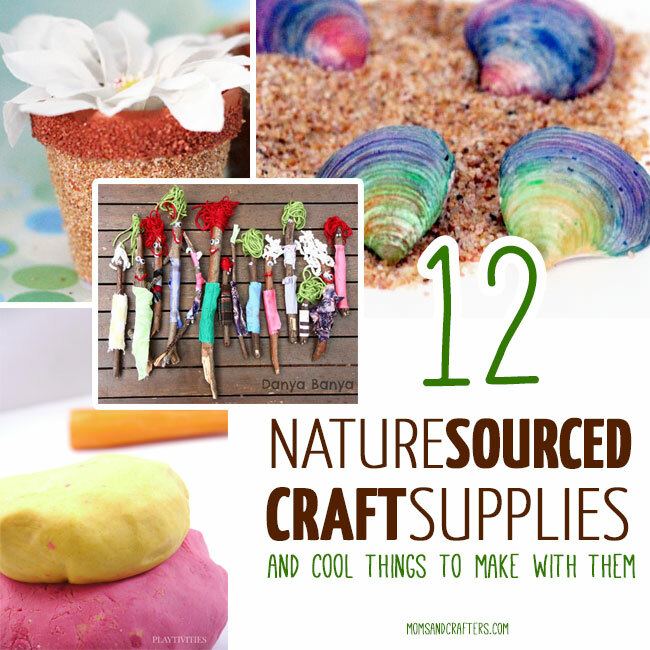 Nature Craft Supplies – The Real Thing! As an artist and a designer, I have always been inspired by nature and love using nature craft supplies when I make things. Not only are they affordable (and often free! ), they give things such a natural, organic feel that is simply beautiful. It’s not “like” nature – it IS nature! 1. 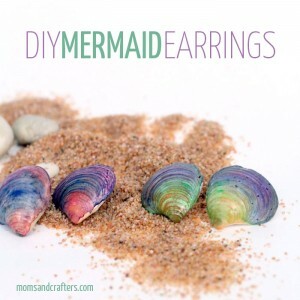 Seashells – These are so versatile! 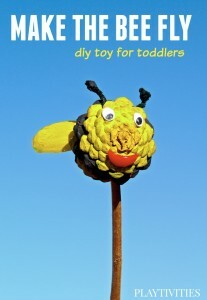 Kids love to collect them, so instead of letting them sit around, craft with them. Try: seashell ladybugs, seashell puppets, seashell fish, a seashell frame, or these gorgeous, pastel seashell earrings. 2. Twigs and branches – Possibly the easiest to find, no matter where you live, the possibilities are endless. Try: Art WITH sticks, Art ON sticks, Stick people, Forsynthia, or use it on your Valentines. 3. 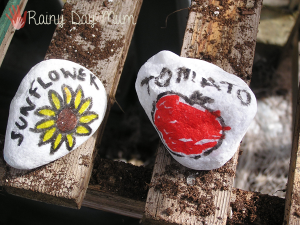 Stones and rocks – Paint ’em, use them in mosaics, or experiment with your own craft! Collect some in unique tones and let the natural color show through. I love finding nice ones at the beach, as some of them have a translucency to them. Try: Make an outdoor activity jar, a car track, storytelling rocks, plant markers this way or this way. You can even use them in a sensory bin! 4. Leaves – While these are perfect for seasonal autumn crafts, you don’t need to limit it to that! 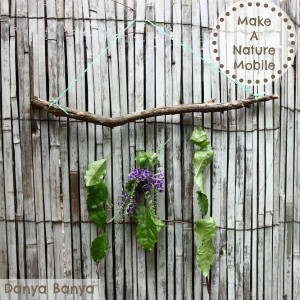 Try: Make a nature mobile, bowls (for real! ), and this beautiful animal art. 5. Sand – You can color it for sand art, or use it on its own! 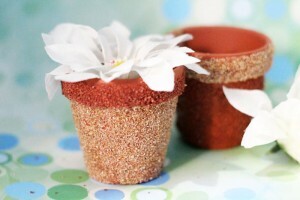 I actually bought some on the cheap to make these fun flower pots, but you can take it from outdoors too! Use a fine mesh sieve to remove anything you don’t want, or a more open one to to make a coarser grain. Try: a footprint keepsake, Color it for sand art using this technique or this one, or make these crazy cool planters. 6. Dyes – Nature produces some of the best dyes for your craft projects. 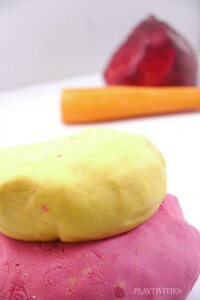 Try: Ochre paint – painting with natural pigments, or use veggies to dye your play dough! 7. Pine cones – My mom was the one who taught me to craft with these, and I’ve been doing so every since. Try: Snowy pine cones, a flying bee toy for toddlers, or these adorable owls. 8. Seeds (especially maple) – While you can purchase drilled seeds (try acai or mandala) for jewelry making, you can also use it in general crafts. Try: Wild grass seed head art, helicopter (sycamore) seed wall hanging, and this woodland sculpture that is simply amazing! 9. Pressed flowers – This beautiful craft supply seems to be almost forgotten outside of card making. In truth, it is a fun, versatile item that produces simply stunning results, and flowers are not too hard to press on your own. 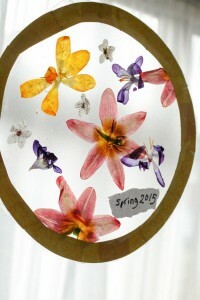 Try: Make a pressed flower sun catcher! You can also use resin to turn it into jewelry or make a cool collage (if you’re up to it). 10. Bark/wood – Wood is an obvious choice for many crafts, but it usually requires processing that’s more on the “craftsman” level than the “craft” level. However, go ahead and give bark a try! 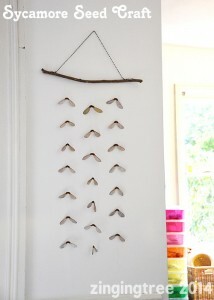 It is amazingly pretty and quite versatile too. Try: bark owls, bark painting, or a magnificent photo frame. 11. Beans – You may purchase this in the grocery store, but it most definitely is a nature craft supply. True to its original form, it has a beautiful, organic look and is amazingly useful. Plus, it’s dirt cheap. Try: These sharp signs, mosaics, or once again, use them for sensory play. 12. Nuts/acorns – Acorn tops have endless possibilities as do hard nut shells! 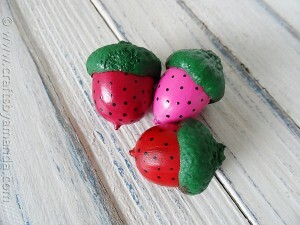 Try: a turkey puzzle, or some super cool strawberries! You can also use them in a sensory bin. 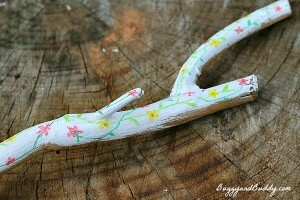 So take advantage of the nice weather, go on a nature walk, and then come back and craft! It’s easy on your wallet and the possibilities are endless. 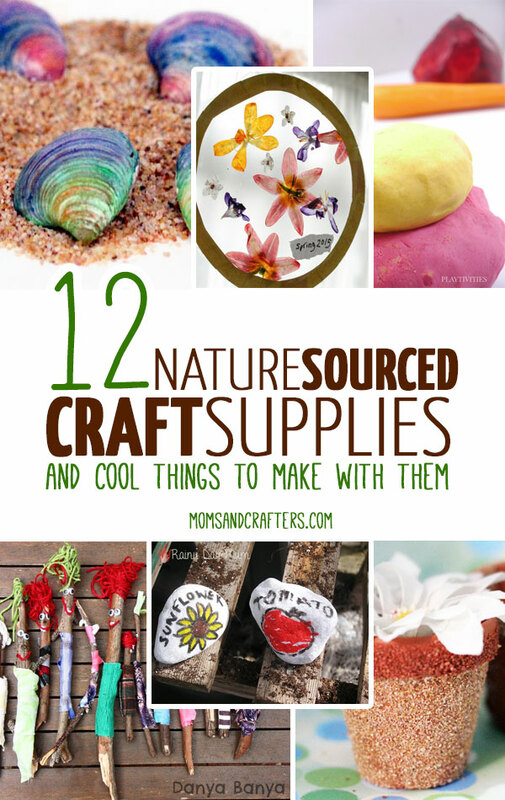 What are your favorite nature craft supplies? What do you like to make with them? Disclaimer: This post contains affiliate links. Craft photos belong to the respective authors. Thanks for linking up to our Make Your Own Forsythia! Great nature-inspired round up!